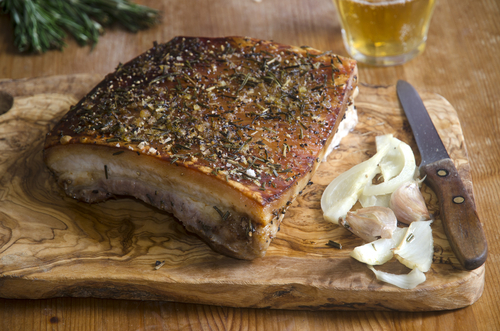 Belly pork from the Childhay organic farm; the belly pork is soft and juicy when cooked correctly. Such a great joint and great for a Sunday roast . The belly is a very underrated joint and will not be dry if cooked correctly.